There is a small group of Grenadians, who is trying to disrespect our Grenadian Creole English dialect but I think that they are crossing the line with their ignorance. They supposed to know that the way we speak, is based on the struggle our foreparents went through for centuries during the colonial period under French and British rule within a slave society system, when slaves had to learn the colonial masters’ language without any formal guidelines. 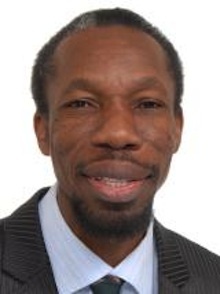 Therefore, it is very foolish when some residents in the southern areas of Grenada criticise outer parishes residents’ accent and dialect because they too are speaking in a southern dialect and it is not standard English either. It is very important for them to understand that regional English and dialect in Britain are the same as the different English dialect in our tri-island state that we speak in the villages within the parishes. Therefore, it is very important for us to keep our dialect because it represents our historical past and we do not need to imitate foreign accents to pretend, we are like English people from Britain. However, when the critics keep on making it a habit disrespecting our Grenadian version of English, then they are raising my nerves. Therefore, it is my duty as a Grenadian to tell them that they are behaving like monkey see, monkey do. Furthermore, there is no need for us to be imitating our former colonial masters because we will never able to be like them. We will just become another group of insecure copycats trying to speak other people’s version of colonial English. So, I think it is time to set the record straight and let our critics know that our Grenadian version of speaking English is, based on our historical experience from slave masters’ plantation under the French and British brutal colonial system. In addition, it is our duty to correct these “cultureless” wannabe British imitators, to make them understand there are very few people who can speak proper English in the in British Commonwealth, even though English is their first language. Additionally, the simple fact is that language is use for communication. For example, in the Dutch Caribbean islands and Suriname where Dutch is the official language spoken, the citizens have the ability to speak other European languages, including their own local creole language that they are very proud of and it is widely spoken and respected. So, why can’t we do the same as our Dutch neighbours and respect our home gown dialect? As a matter of fact, the government in Suriname wanted to make the creole their national language instead of Dutch because citizens feel more comfortable communicating in their creolised language. Now, it has become very annoying to me these days, when I read comments made by some residents in the southern areas of the island on Facebook claiming, how they speaking better English than residents in the outer parishes, based on the way we pronounce words. But unfortunately, they failed to realise, their version of broken English has less local words and it is not historically rich in contents as how we speak in the outer parishes. On the other hand, they are ones who are boasting openly and saying, how they enjoy listening to blues, soul, disco and funk music but it seems as though they are not listening to how the American artists pronounce the words within the lyrics of those genres of music, that they claim to enjoy so much. But it is a known fact, that Americans speak broken English in their own dialect and the way they spell some words so much from British English spelling. Sometimes a lot of us tend to behave as though we are super intelligent and start saying things that make us look like fools. Basically, when we talk about arts and culture within our Grenadians society, the real essence of entertainment is embedded within our Grenadian creole language of communication. Whether it is in theatre drama, calypso composition, jab jab lyrics, political picong, street talk, melee confusion and even novel writing literature, the ingredients come from rural Grenadian English dialect.